The Verge reports Bethesda confirmed the existence of The Elder Scrolls Online, an upcoming MMO set in the Elder Scrolls universe. The game is due out next year on both PC and Mac, it will feature three playable factions and is set a millennium before the events in Skyrim. Players will have to fight against the daedric price Molag Bal who is trying to conquer all of Tamriel. "We have been working hard to create an online world in which players will be able to experience the epic Elder Scrolls universe with their friends, something fans have long said they wanted," said Matt Firor, game director of The Elder Scrolls Online, in a prepared statement. "It will be extremely rewarding finally to unveil what we have been developing the last several years. The entire team is committed to creating the best MMO ever made - and one that is worthy of The Elder Scrolls franchise." 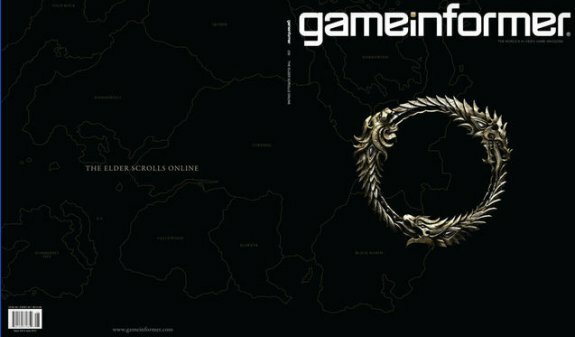 The game's solo questing, public dungeons and player-driven PvP will all be detailed in 12 pages of content in the upcoming June issue of Game Informer, set to hit stands and subscriber mailboxes this month. PvP, the mag reports, pits the game's three factions against one another in open-world warfare "over the province of Cyrodiil and the Emperor's throne itself."